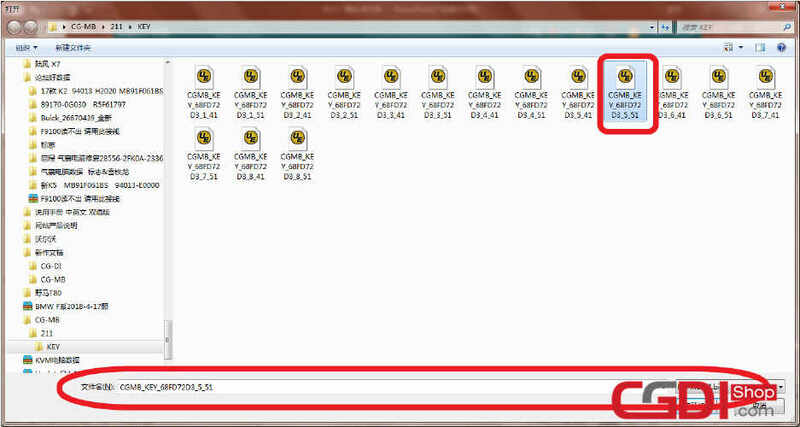 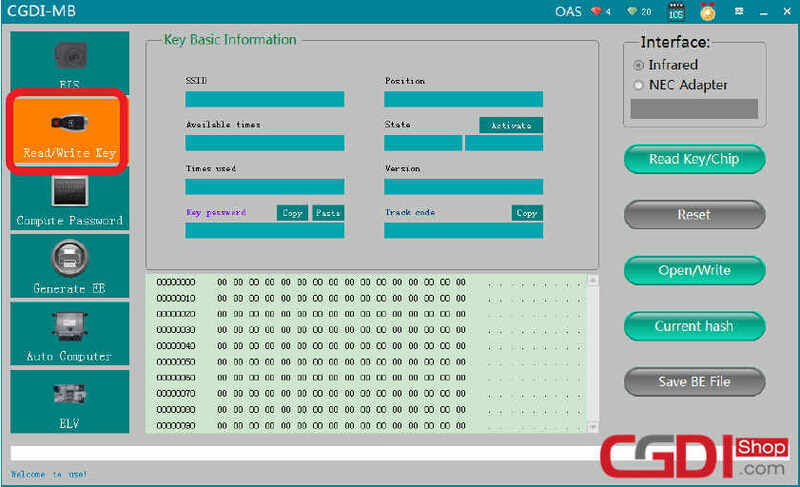 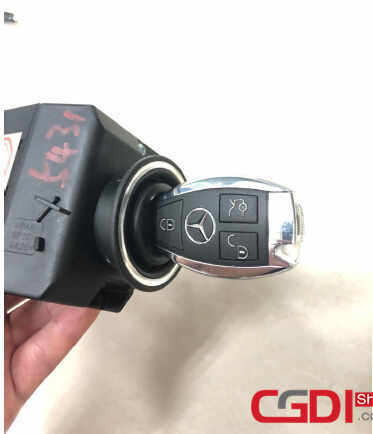 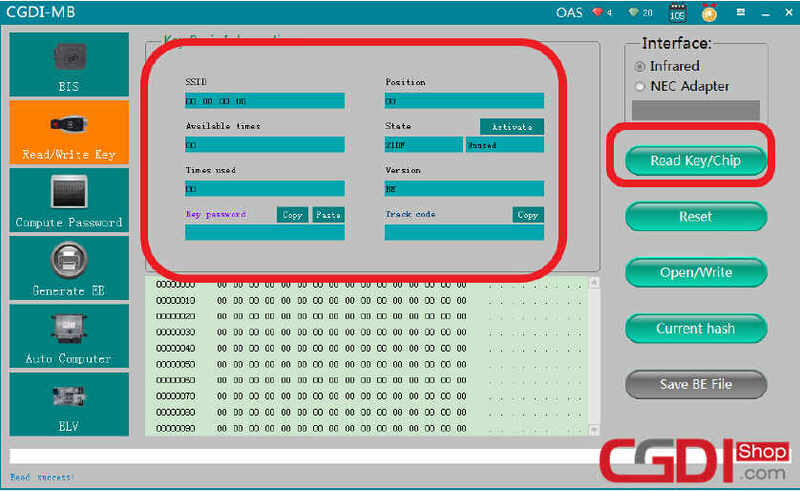 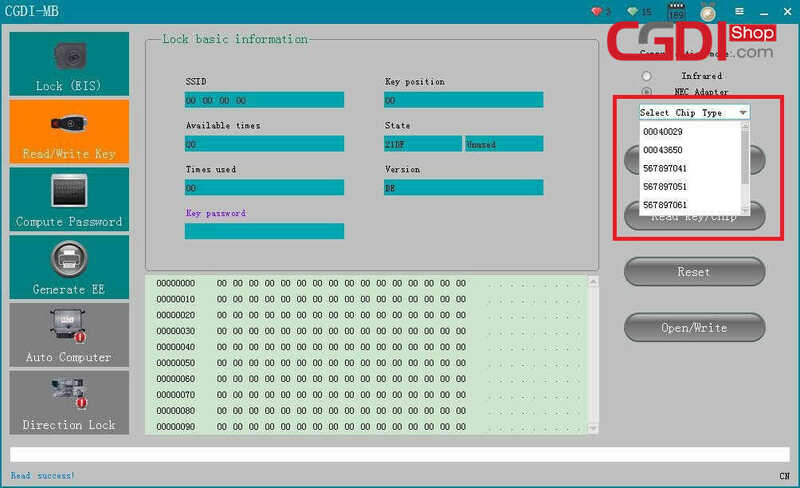 This post show a guide on how to program a new key for Benz W211 by CGDI MB programmer. 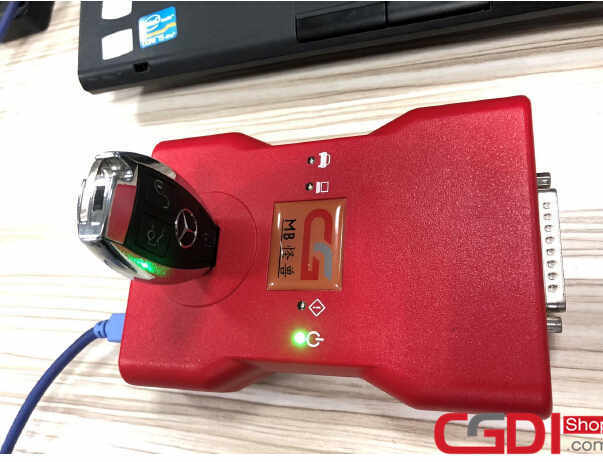 Connect CGDI MB to vehicle via OBD,keep the door open and voltage of your vehicle run on 12V. 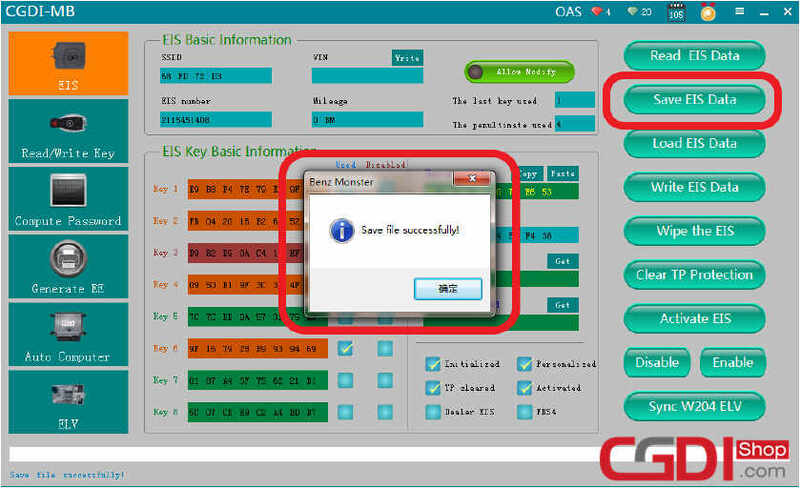 After software reading data successfully,it will show the EIS information. 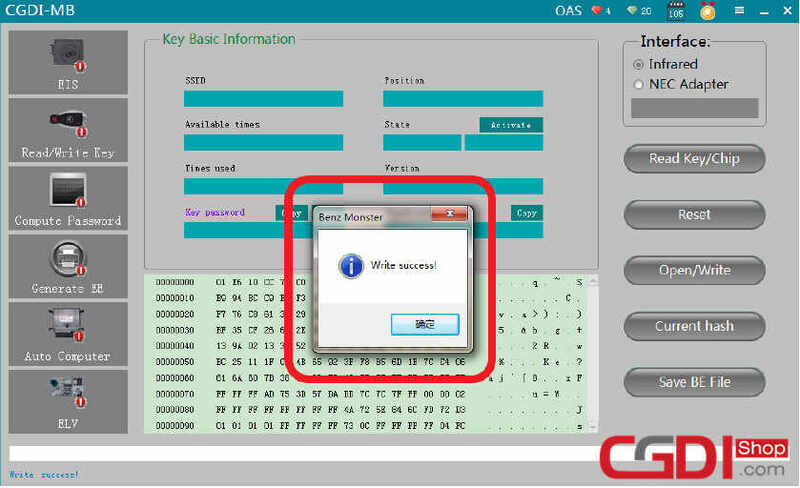 Select “Other keys”,and click “OK” to continue. 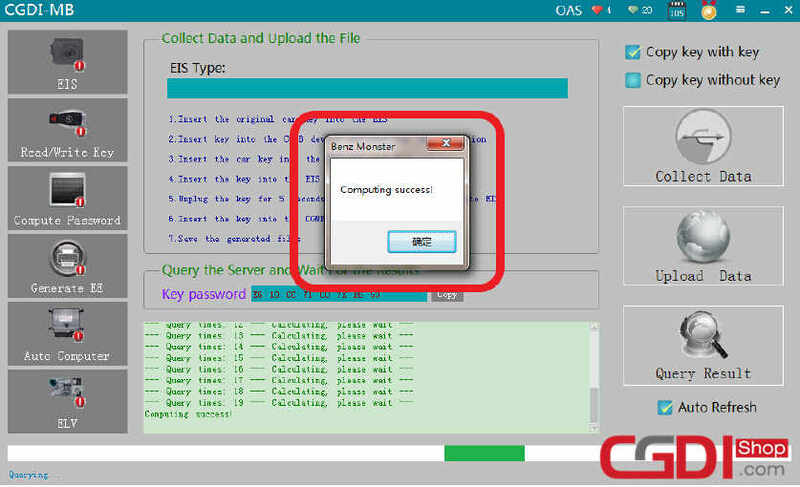 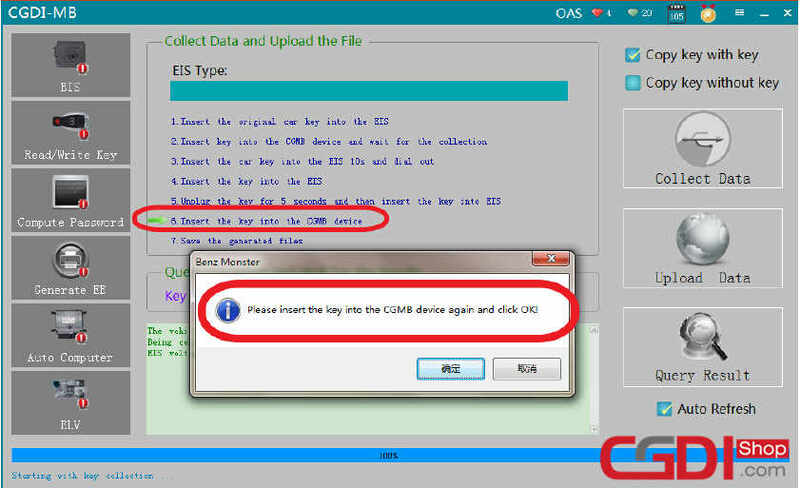 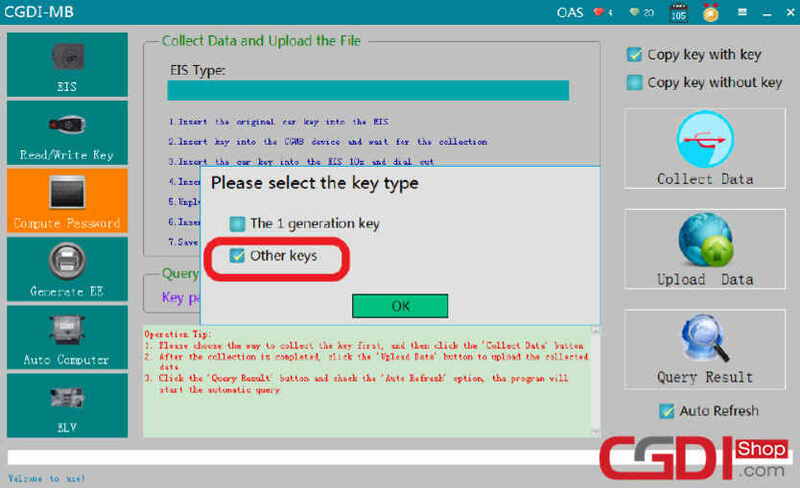 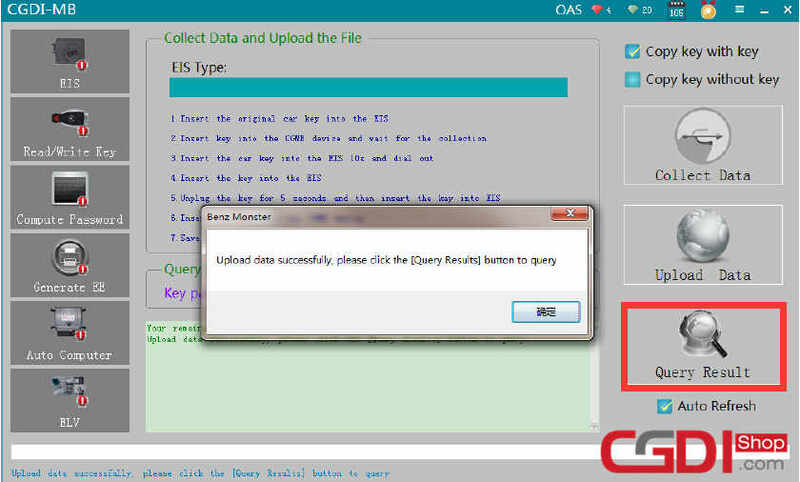 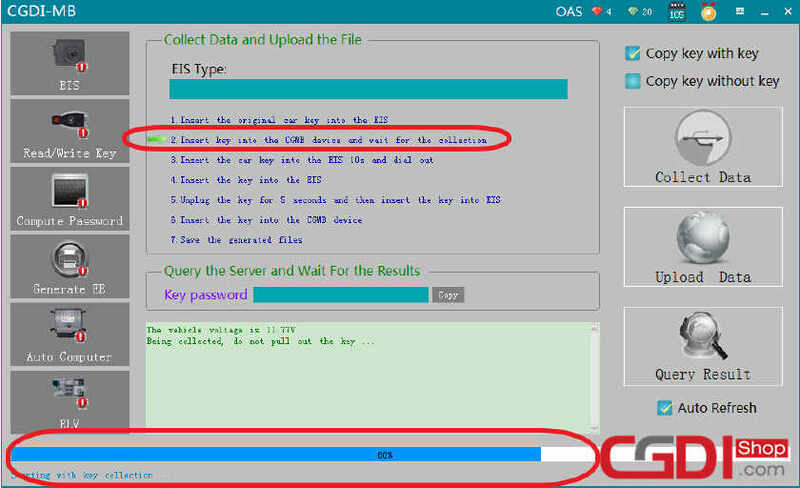 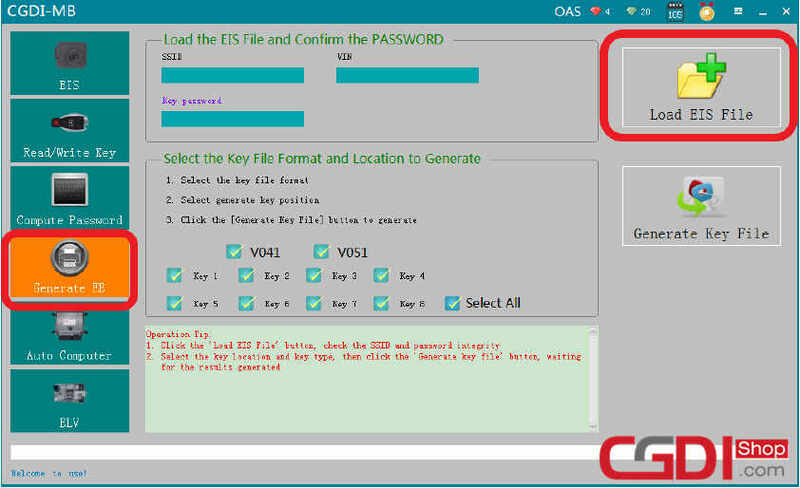 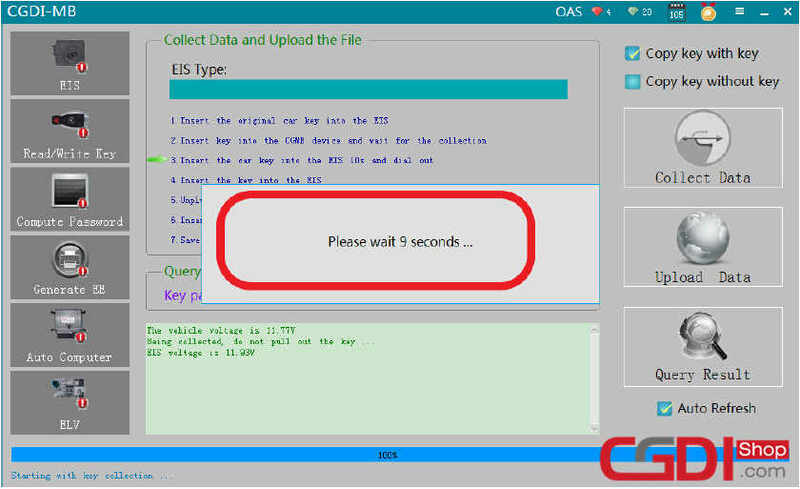 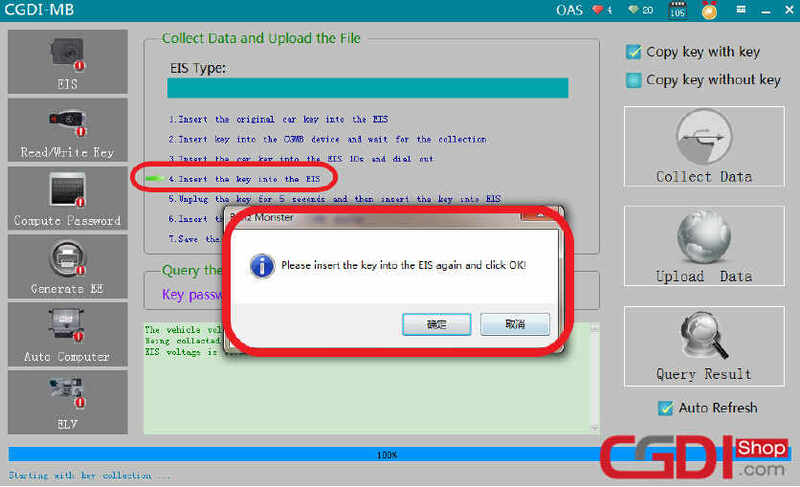 Then the software will prompt you to insert the original key into EIS and click OK.
After data collection finishing,save the data file with default file name. 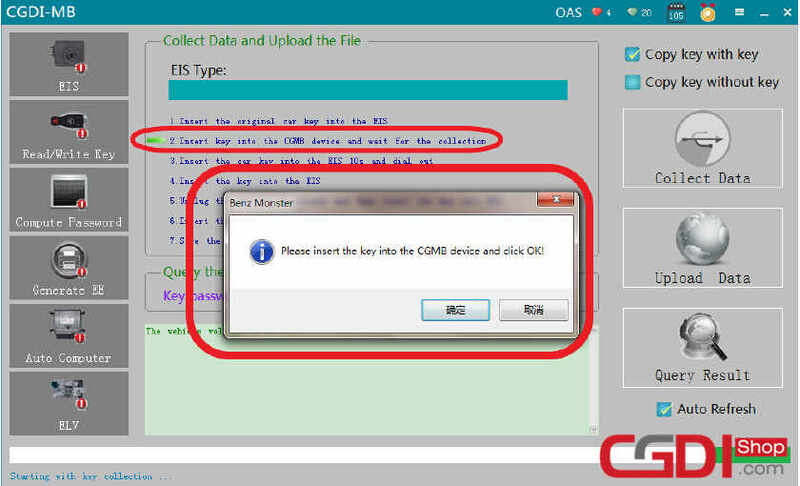 Save the file successfully,click “OK” to continue. 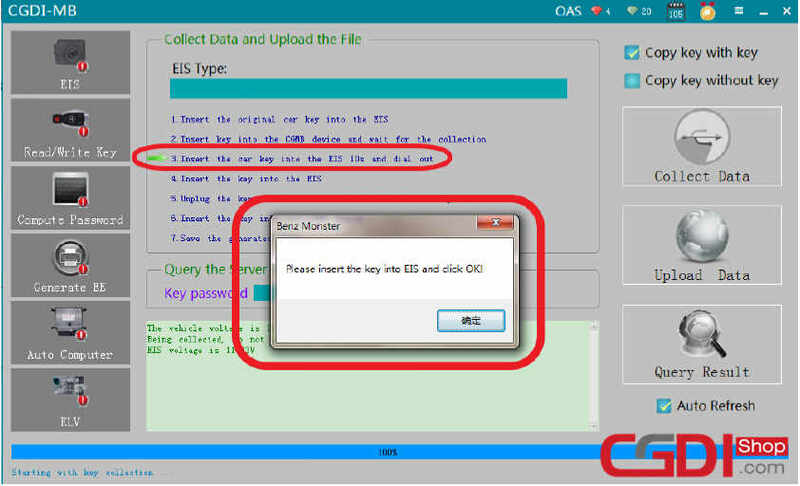 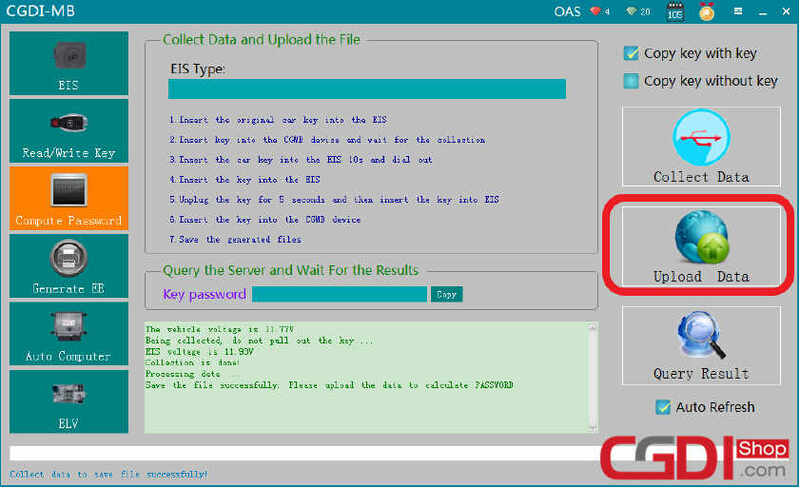 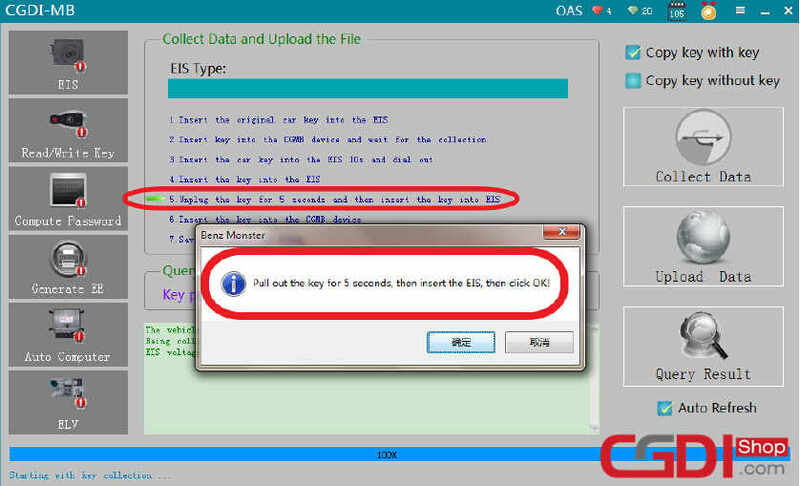 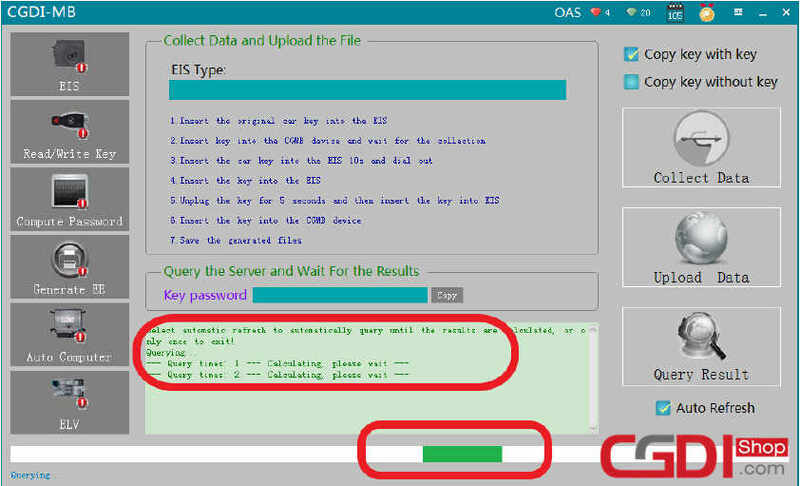 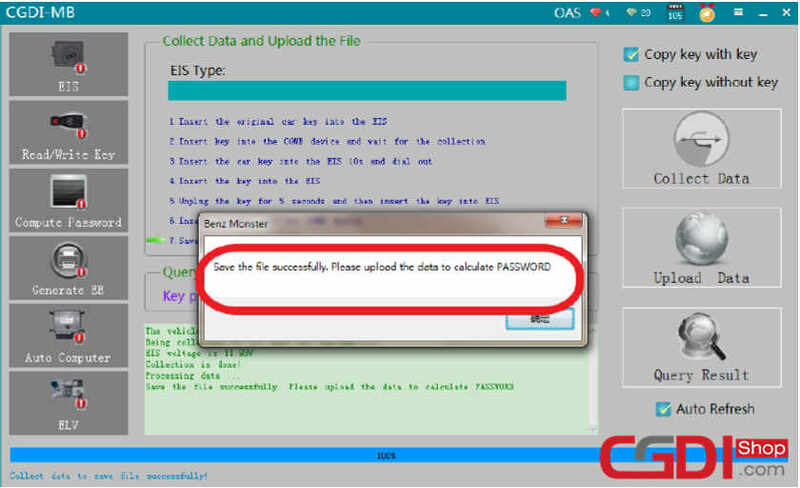 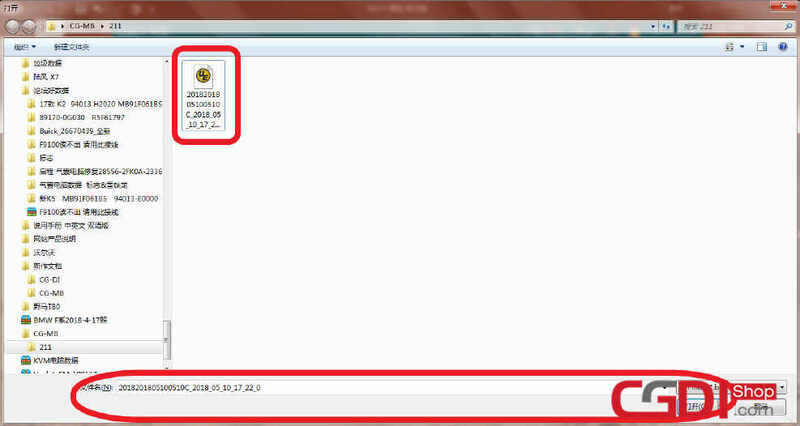 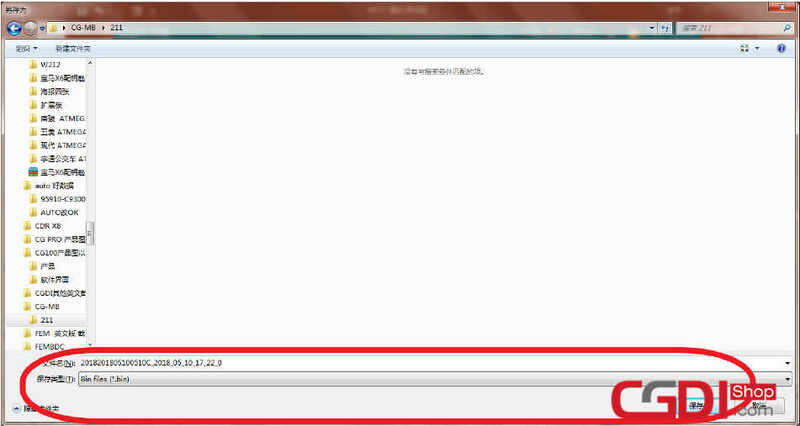 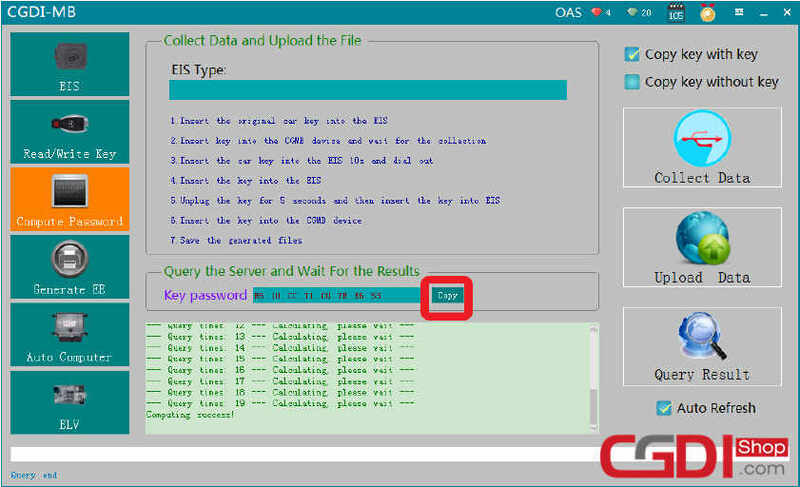 Click “Save EIS Data” button to save EIS data file. 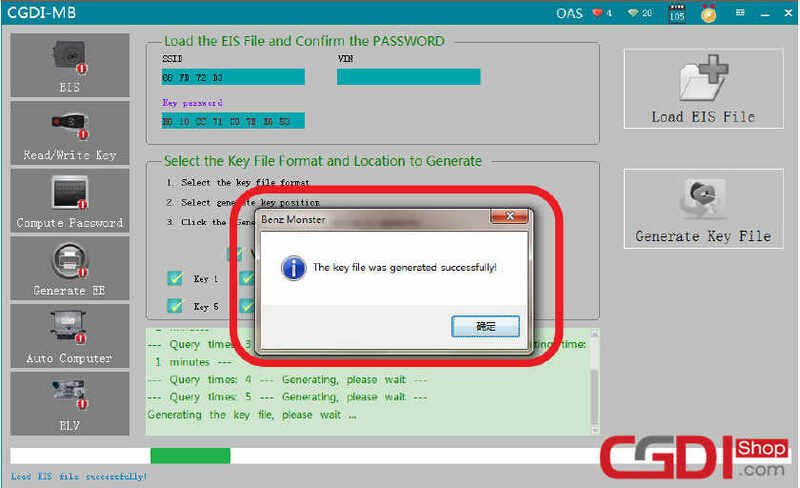 The key file was generated successfully! 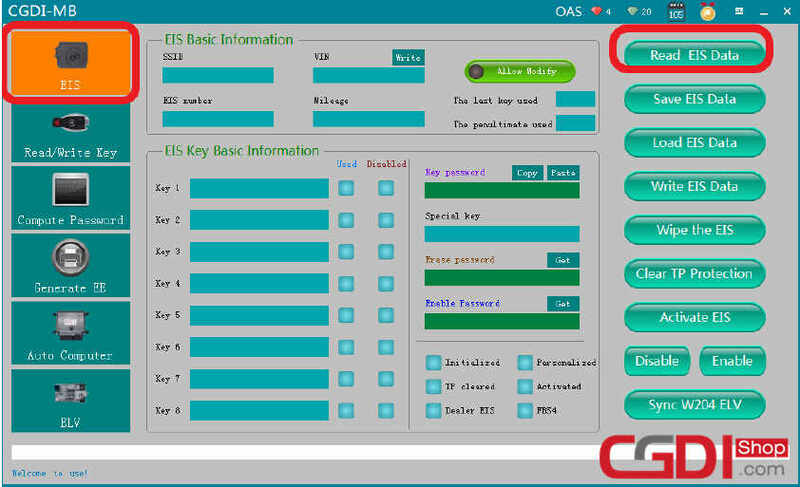 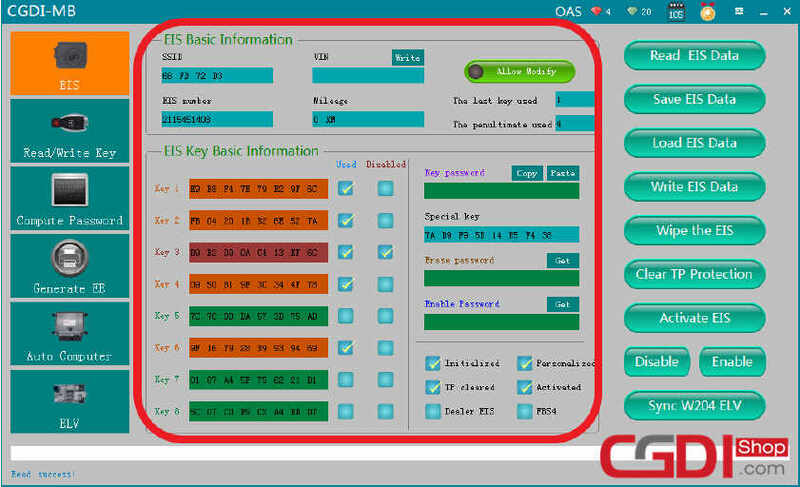 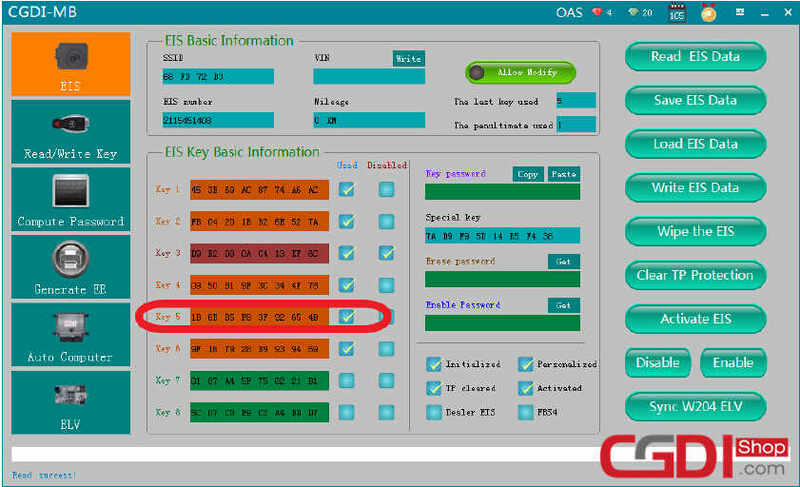 Insert the new key to EIS,test it. 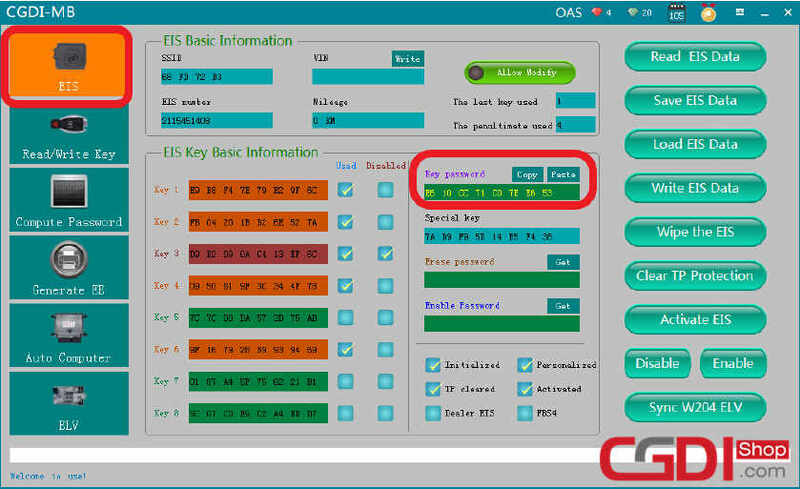 Then use software to read EIS information,it show the key position data in use. 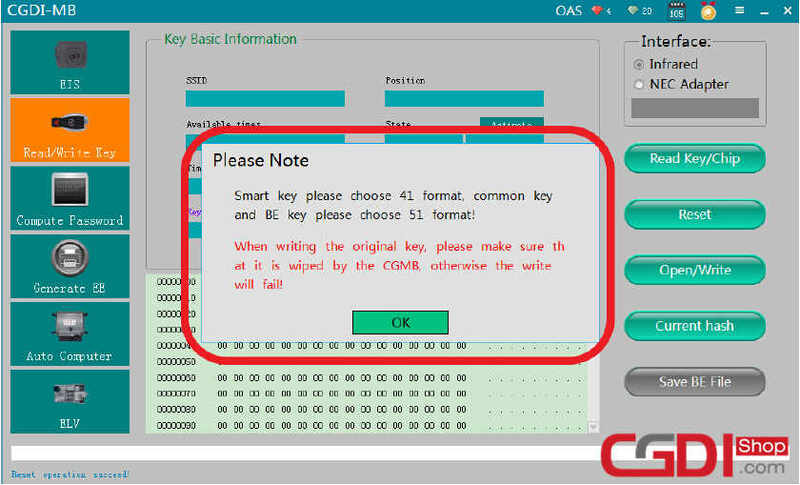 Both of them mean your new key programming successfully!